We’re counting down the top 10 moments in each Ivy school’s history as part of our Ivy League at 60 retrospective. 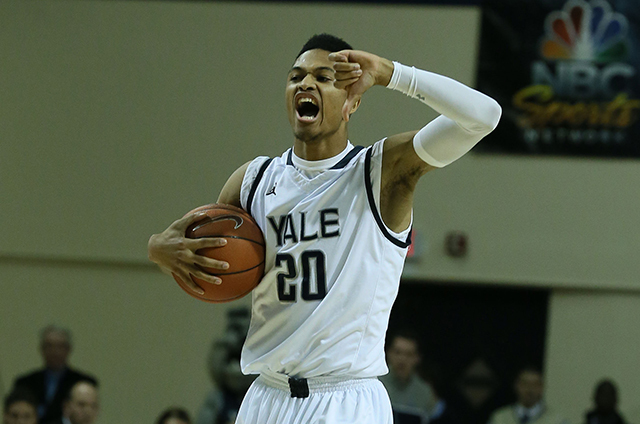 Yale is next by request of Ivy Player of the Year Justin Sears. The 1961-62 Yale Bulldogs are undoubtedly one of the greatest teams in school history, finishing 13-1 in Ivy play and 18-6 overall while securing the Ivy League championship, the program’s second in a six-year span. Yale had suffered seven straight losing seasons, including a 4-22 finish in 1998-99, when it hired James Jones as its head coach on April 27, 1999. Things got better quickly. Jones, a former Yale assistant coach (1995-97), led the Elis to a share of the Ivy title in 2002, though Penn would trump Yale in the league playoff game for a NCAA Tournament berth. Yale has finished in the top half of the conference every season without fail since 2000. True, no NCAA Tournament appearances in that span (though a share of the title this season brought Yale as close as it could possibly get without getting over that hump), but still incredible consistency for a program that lacked it for decades before his arrival. On Nov. 30, 2014, Yale did something it hadn’t done before: Defeat a defending national champion. And it did so in the most dramatic way possible. The 1962-63 Yale Bulldogs were solid. Fresh off a NCAA Tournament appearance the previous year and led by legend Rick Kaminsky, the Elis finished 13-10, and more importantly, 11-3 in Ivy play, including a 62-61 win at Jadwin Gym (capping a four-game win streak over Princeton). The first-year varsity star Bill Bradley-led Tigers had their revenge, though, nipping the Elis, 61-58, in New Haven on Feb. 9 and again in the Ivy playoff game on March 9, 65-53. Thus the 1962-63 season marked the first non-NCAA Tournament season in a 53-season streak that is still running. Still, the 1963 Elis won a share of the Ivy League championship and cemented their place in Ivy history. On the weekend of Feb. 18-19, 2002, Yale did something it hadn’t done in 14 years: It pulled off a home sweep of Penn and Princeton. Huge crowds at Payne Whitney Gym got to see the Elis sweep the Ps in the middle of a seven-game Ivy win streak en route to a three-way tie atop the conference with … well, Penn and Princeton. By virtue of tiebreakers, Yale had to defeat Princeton before squaring off with Penn with a NCAA Tournament appearance on the line. The Elis fell to Penn, 77-58, but they weren’t done just yet. Led by four players with scoring averages in double figures (Edwin Draughan, Alex Gamboa, T.J. McHugh and Paul Vitelli), Yale still had postseason power to spare. More on that still to come in the countdown. It isn”t the John J. Lee Amphitheater for nothing. After gracing the cover of Sports Illustrated in January and averaging over 24 points per game in Ivy play, Lee led his Yale team to the 1957 NCAA Tournament, where the Elis fell at Madison Square Garden to highly regarded North Carolina, 90-74, despite Lee”s 25-point performance. Lifelong Yale basketball fan Peter Levin has renounced his fan allegiance to the Bulldogs and, despite having graduated from Yale in 1985, has announced to family and friends that he will now root exclusively for Harvard athletics teams going forward. Levin said identifying with Yale basketball and football had made him feel inadequate and believe that he didn’t deserve success and happiness for himself. Proving further that there is little justice in how NCAA basketball teams are evaluated, especially mid-major squads, Yale was left out of the NIT Sunday evening despite a No. 74 KenPom ranking, No. 63 RPI and 22-10 record that finished with a gut-wrenching loss to Harvard in Saturday’s Ivy playoff game at the Palestra. Yale’s losing out on a NIT bid so late prevented the Bulldogs from grabbing a spot in the CBI or CIT, which filled quickly. The Elis will not be one of 148 teams involved in this year’s postseason. 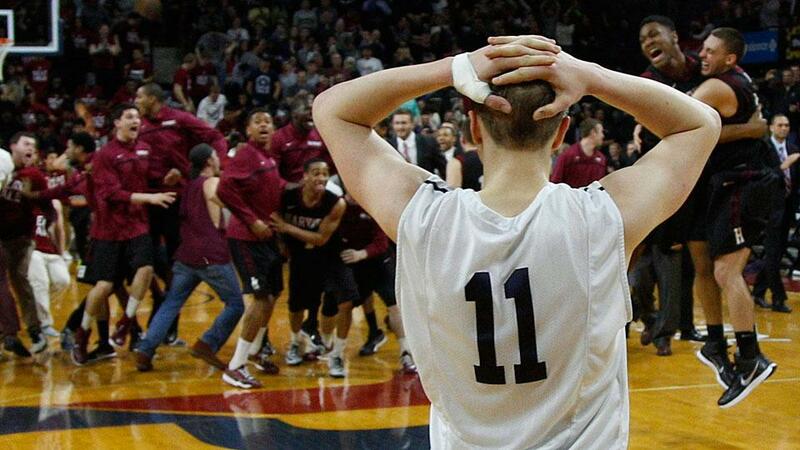 It is disheartening, but the NIT has done this to the Ivy League before. In 2011, Harvard garnered only a 6 seed despite beating Colorado, Boston College and George Washington before finishing with a 12-2 conference record and a 63-62 loss in the Ivy playoff game to Princeton. With Princeton declining a postseason bid, the number of Ivies in the postseason has dwindled to two: Harvard in the NCAA tournament and Dartmouth in the CIT. The Ivies appeared to be loaded preseason and did provide one of the most outstanding conference slates in league history. For many reasons, in Yale’s case chiefly a bias against mid-major teams and comparatively low Ivy visibility, the Ancient Eight postseason won’t reflect those efforts. Wesley Saunders made the right play. Harvard gained possession with 33 seconds to go and the game tied at 51-51, an NCAA tournament berth on the line. Junior guard Siyani Chambers successfully handed the ball off to Saunders, who then went to work. He drove in the lane with 10 seconds left, and when the defense converged, he kicked the ball out to senior forward Steve Moundou-Missi, the Ivy League defensive player of the year. Moundou-Missi had went on an offensive run earlier in the contest, scoring six straight points, but the two points that he’ll remember most for the rest of his career are the ones that he notched after catching Saunders’ pass and draining a jumper from the top of the key. For Saturday’s Ivy League playoff, the emotions ran the gamut from high to low, from hope to despair, from anxiety to exhilaration, as the Palestra played the role of backdrop to one final night of Ivy League theatre, regaining its role as the arena of Ancient Eight dreams. Harvard-Yale was everything one could have asked for and more with the third game in the fierce rivals’ season series nearly needing overtime. Seriously, what could have been better? You take two evenly matched teams playing to the wire and feature them at by far the best arena in the entire conference. All I ask is that we see this again.